The large aapa bogs which have been preserved in their natural state, our countries broadest fen mires and raised bogs, which are rare in the north, make the Luiro Mires a unique mire area. The Luiro Mires are classified as an internationally significant wetland and as an internationally significant bird habitat. The Sokanaapa and Kairanaapa bird watching towers are wonderful spots for observing birds. The Luiro Mires are a Natura 2000 site. The Sokanaapa Nature Trail is a good option for a short trip to the Luiro Mires. If you wish to see more of the area, this will require independent planning and good hiking equipment. 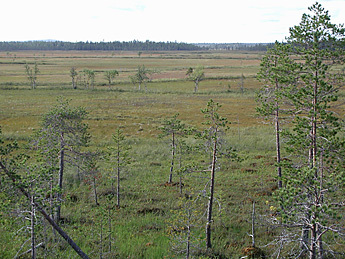 The area is managed by Metsähallitus, Parks & Wildlife Finland.